programs) also indentifies any viral damage. and now provides full CMOS protection! 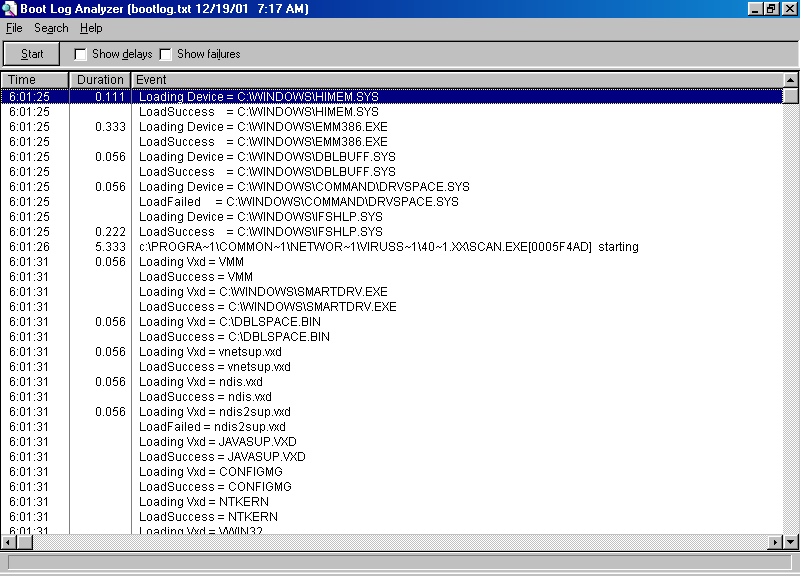 An optimize virus and integrity scanner that run under OS2 ,windows95,win nt etc. very nice program SHAREWARE. This is the evaluation version of Integrity Master(tm) (Version 2.51). If you use IM under Windows, you will also need to keep the *.PIF files. (.SID) and reload (.SRL) information. *.ICO ------- Various icon files for use of IM under windows. IMPRINT.BAT -- Batch file to print files. Syntax: "IMPRINT filename"
IMVIEW.COM --- File viewer program. Syntax: "IMVIEW filename"
IMWIN.EXE --- Installs IM as a Windows program group. PMsetup.INF - Setup data file required for install of IM under Windows. NET.DOC ------ Suggestions on how to best install and use IM on a LAN. Read this for documentation on the latest changes. FILE_ID.DIZ -- Description file for PCboard, Wildcat other BBSes. lower directories (e.g., \DOS\UTILS) type "IMSCAN \DOS". "/B" (e.g., "IMSCAN \DOS /B"
and the disk (e.g., "IMSCAND C:\PCB\UPLOADS"). IMSCANM Allows you to scan multiple diskettes for known viruses. "IMQ /DCF" will check both drive C and drive F). the HISTORY.DOC file to see what has changed since your version. well as the system sector and CMOS related files will be stored. checking has been set to "Quick update" as default. from aborting a scheduled check invoked from a .BAT file. /NOB - No Beep. Turns sound off. and will tolerate a wild-card file spec. (e.g., *. * or *.COM). /Q - Forces "Quick Update" mode. check values or if you are testing a virus collection. when IM will update its integrity data when files change. to read floppy disks that cause DOS to crash. you might have a real virus. parameter to the command line. and check library six for Integrity Master related files. Integrity Master should be available from any SDN, FDN or ASP AHN BBS. freqed with the magic name IMAST (Fido 1/3605:13). o IM and support is available on the Metaverse anti-virus BBS. 606-843-9363 (14.4 V.32bis). Logon as "GUEST USER", password=GUEST. o COMSEC (Computer Security) BBS (6 lines) 1-415-495-4642.
of the Ziff-Net, PC Magazine forums) file I-MAST.ZIP.